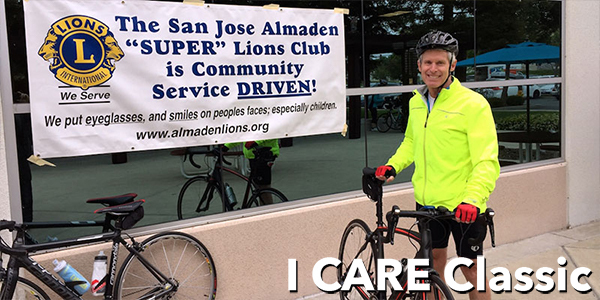 For 25 years, the Almaden Super Lions Club has sponsored the I CARE Classic Bike Tour to raise funds to provide eye exams and glasses for children and veterans in need. 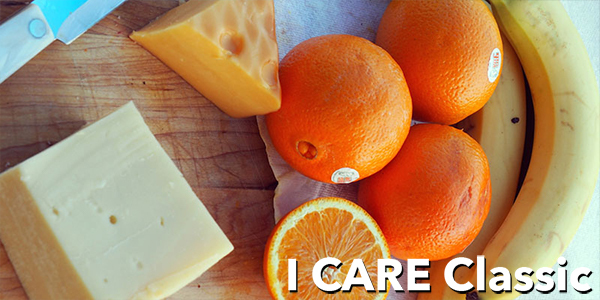 100% of the proceeds of this event are dedicated to that cause. The tour has courses for all skill levels: a 100 mile hilly course, a 100 kilometer course, a 50 kilometer course and a 20 mile course. This is a tour, not a race, and it makes for a great family outing! 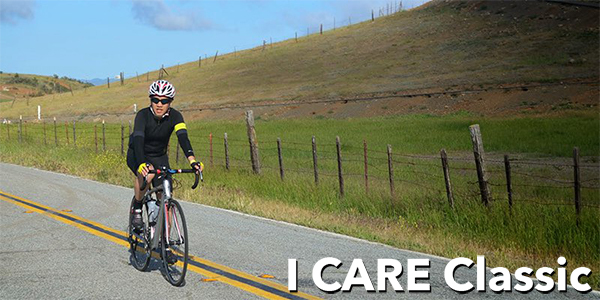 Ride through the spectacular spring scenery of Morgan Hill on well mapped, marked courses with great rest stops and SAG support along the way. Click here to view photos of past tours. 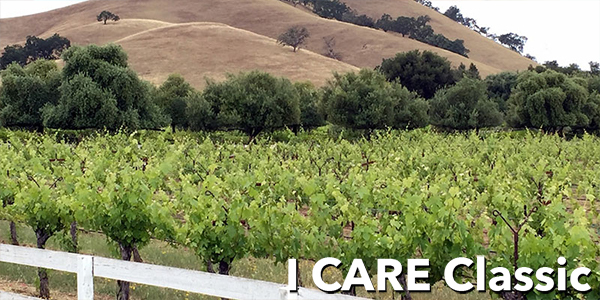 Visit the I CARE Classic website at www.icareclassic.org for more information or click here to register online today! 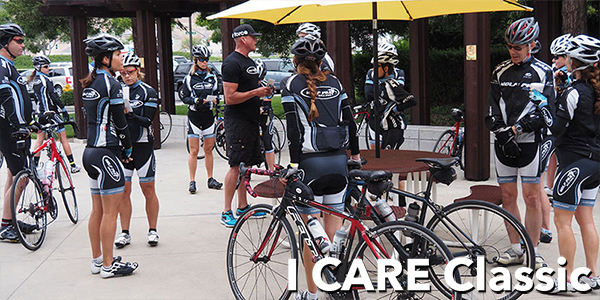 Photos from the 2016 I Care Classic Bike Tour now available online! 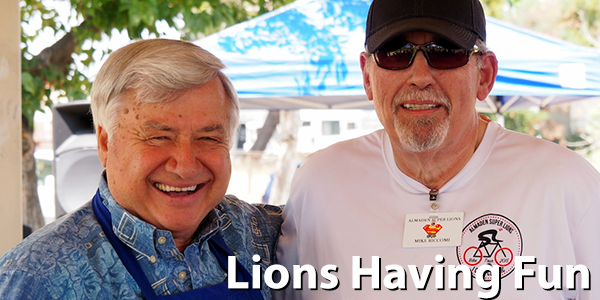 We are the San Jose Almaden Super Lions Club, founded in 1956. 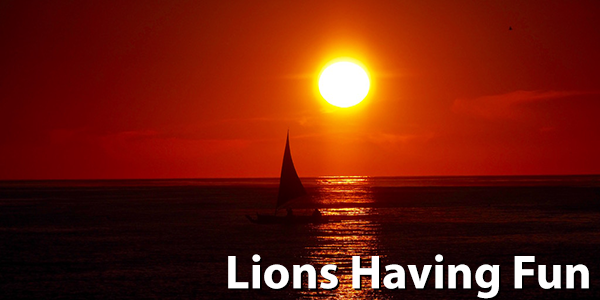 We belong to Lions Clubs International, serving alongside more than 1.4 million men and women worldwide. 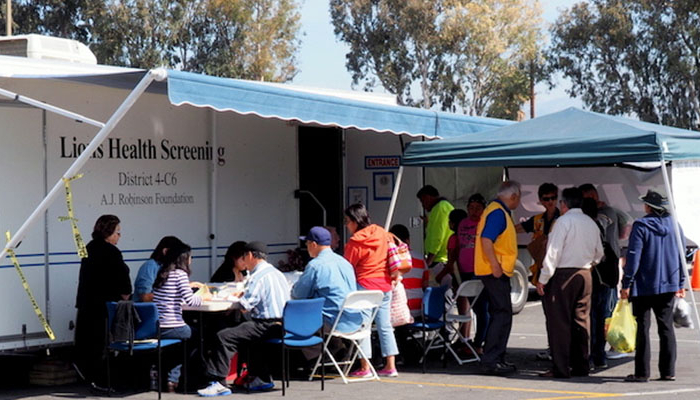 We provide services in our community for folks in need, especially children and veterans, such as free eye exams and eyeglasses, holiday dinners for families, backpacks and school supplies, summer camp for children with diabetes, and more. Most of us cannot begin to imagine what life would be like living at the Homeless Shelter, in a car, or in a friend’s garage. It would be even worse if you were an innocent child. 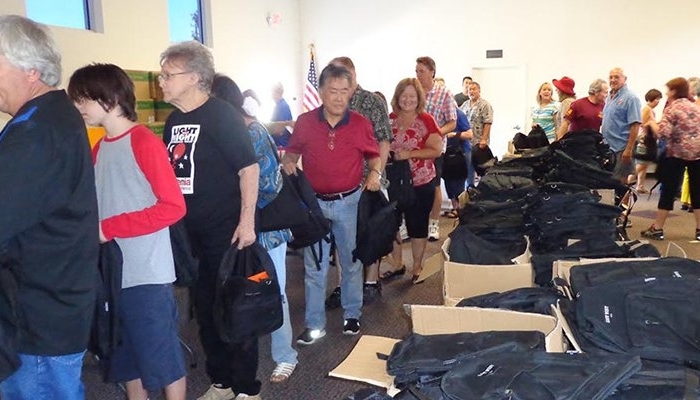 With the assistance of other Lions Clubs, retailers, and friends and family, each year the Almaden Super Lions fill thousands of backpacks with school supplies. These new backpacks go to homeless children and children in need. Interested in treating your employees, supporters or organization to a night of gaming fun? Also interested in helping the community at the same time? Casino 2U does both! 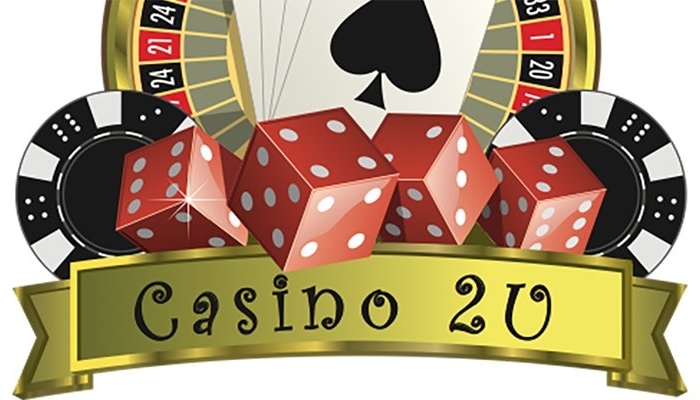 Our Casino Night package is an ideal entertainment package for your upcoming event. You provide the prizes for the evening, we do everything else. We supply the chips, the tables and the dealers for Craps, Roulette, and Blackjack. 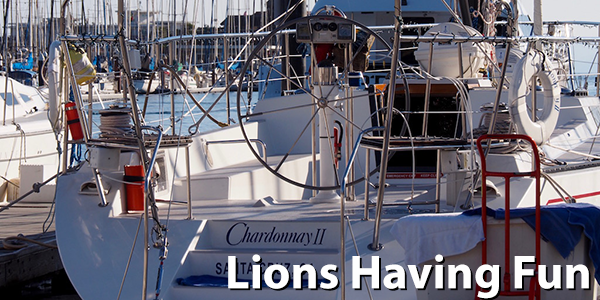 We are a diverse group of fun-loving, service-minded men and women of all ages. Our Wednesday morning breakfast meetings are short, efficient, raucous and funny. We start at 7:00 in the morning and adjourn precisely one hour later. No kidding; the president gets fined if the meeting runs over! Having had breakfast and accomplished quite a lot of work, we leave primed for a productive day ahead. Our spirit of fun and our laughter permeate all of our service activities and members have plenty of other opportunities to socialize and form deep personal connections, which further fuel our work and our play. 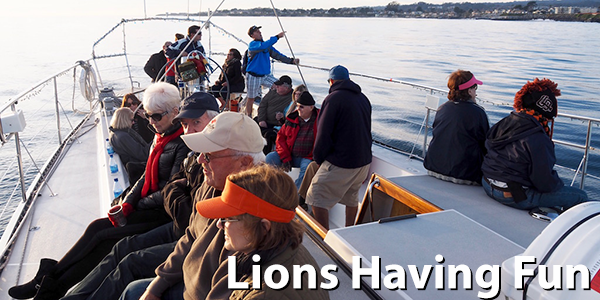 Members enjoy monthly board meetings, socials, annual holiday and tailtwister parties and yearly district conventions. 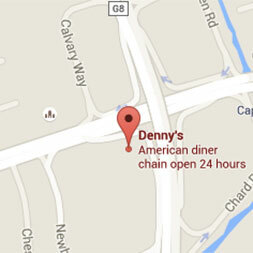 We meet every Wednesday morning for one hour at 7:00 a.m. at Denny’s at 1140 Hillsdale Avenue in San Jose. Meeting is adjourned promptly at 8:00. All are welcome to attend.